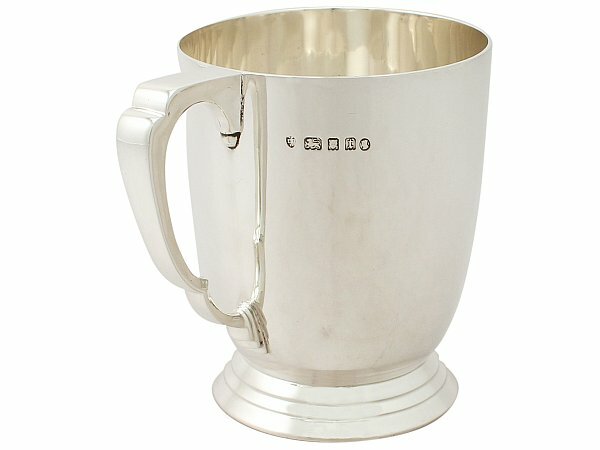 This exceptional antique George V sterling silver pint mug has a plain bell shaped form onto a circular spreading foot, all in the Art Deco style. The surface of this collectable mug is plain and unembellished. 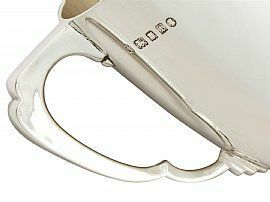 This fine example of antique silverware is fitted with an Art Deco style incurved shaped sterling silver handle accented with a tiered angular lower socket. 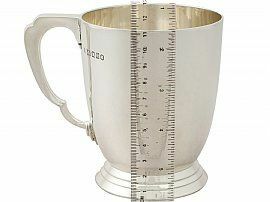 The mug is supported by an impressive circular spreading stepped foot. 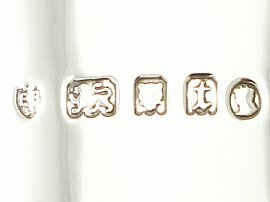 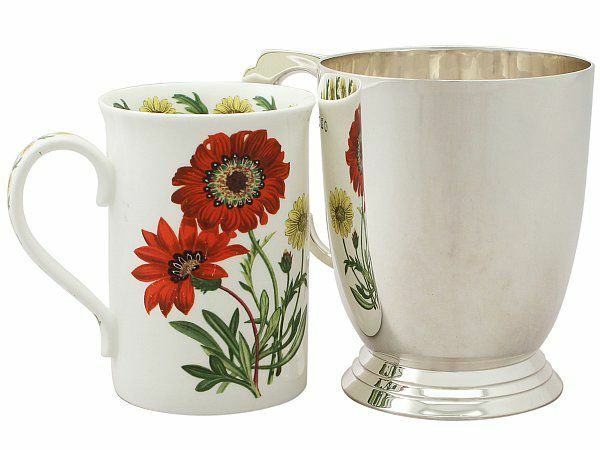 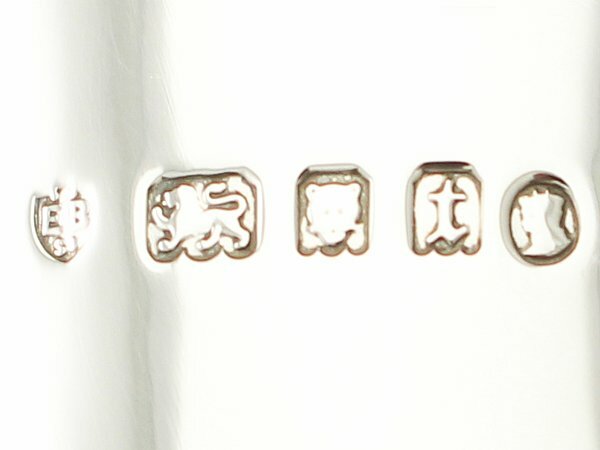 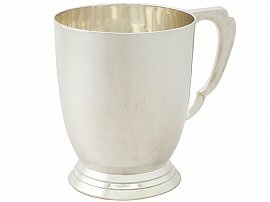 This antique pint mug was crafted by the renowned London silversmiths Edward Barnard & Sons Ltd. 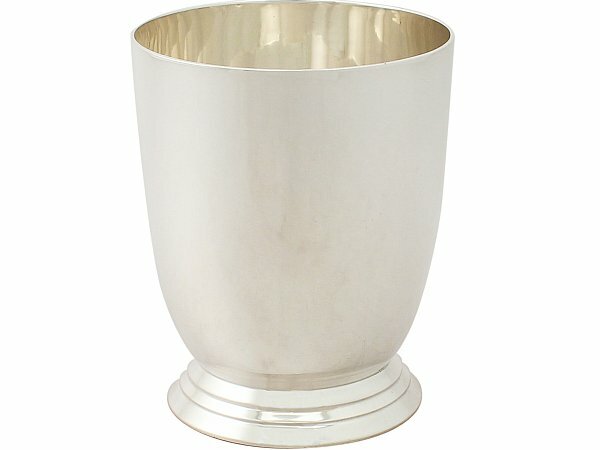 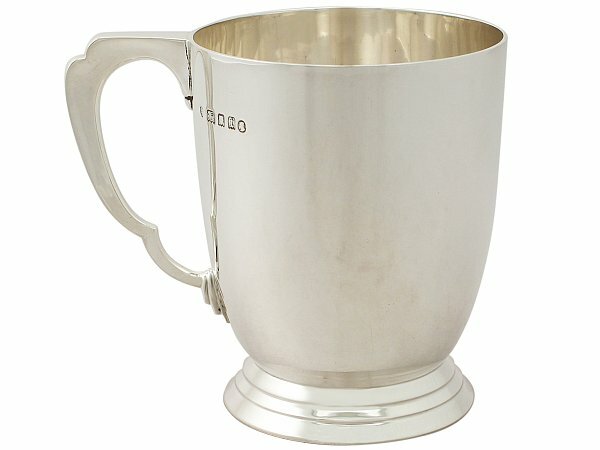 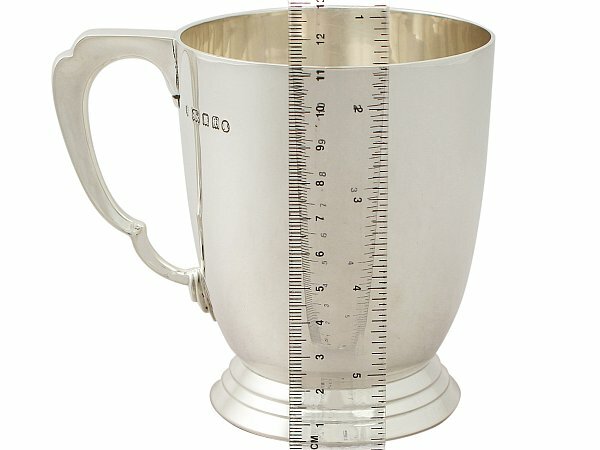 This antique Art Deco pint mug is an exceptional gauge of silver, exceptional quality and in exceptional condition. 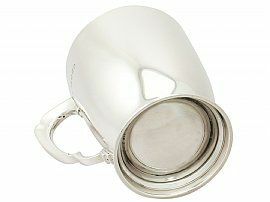 This collectable mug has been professionally polished and in presentation condition. 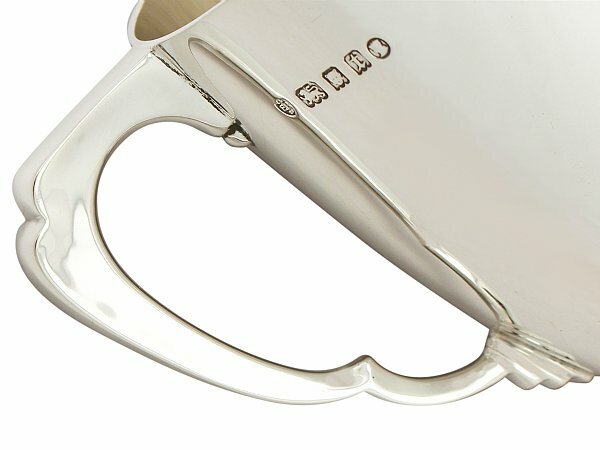 Length from back of handle to tip of lip 13cm/5.1"